Madeline L’Engle’s A Wrinkle in Time was rejected by 26 different publishers when she first began shopping the book around in the early ‘60s. There were many reasons given: too complicated, too adult, and no one reads books with young female leads. Now, 55 years later, Ava DuVernay’s live-action adaptation of the book is making a similar point about young, black girls deserving a chance to be a part of the scifi cultural canon. 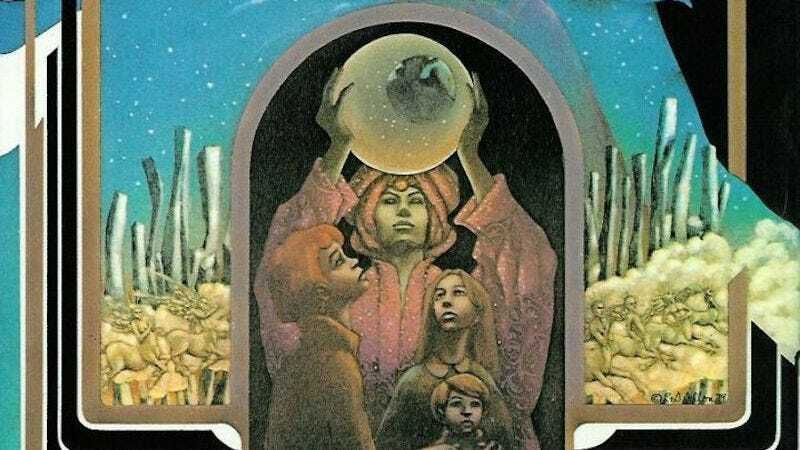 A Wrinkle in Time was almost never published. You can’t name a major publisher who didn’t reject it. And there were many reasons. One was that it was supposedly too hard for children. Well, my children were 7, 10, and 12 while I was writing it. I’d read to them at night what I’d written during the day, and they’d say, “Ooh, mother, go back to the typewriter!” A Wrinkle in Time had a female protagonist in a science fiction book, and that wasn’t done. And it dealt with evil and things that you don’t find, or didn’t at that time, in children’s books. When we’d run through forty-odd publishers, my agent sent it back. We gave up. All those publishers were clearly wrong-headed. A Wrinkle in Time has since gone on to become one of the most widely read and beloved children’s books in the world. Even with that proof, people still trot out reasons like the ones L’Engle was given to reject things. How often do we hear “it’s just for kids?” Or that “girls don’t buy toys?” That’s all part of the same small-mindedness that almost kept us from reading A Wrinkle in Time. The first image [I had in my head] was to place a brown girl in that role of Meg, a girl traveling to different planets and encountering beings and situations that I’d never seen a girl of color in. All of those scenes struck my fancy, and then it was also something that [Disney VP of production] Tendo Nagenda said to me, which I’ll never forget. One of the things that really made me want to read it was when he said, “Ava, imagine what you would do with the worlds.’ Worlds! ‘Planets no one’s ever seen or heard of,” he said. There aren’t any other black women who have been invited to imagine what other planets in the universe might look and feel like. I was interested in that and in a heroine that looked like the girls I grew up with. While A Wrinkle in Time’s casting may not drastically change its story, the pivot is a testament to just how simple it can be to course correct for multiple decades-worth of marginalized groups being shut out out of cultural mainstays like science fiction. Just say yes to good stories.